Now that this devil illusion has been blown up, you can see that it’s actually not a picture of a face at all. Instead, it;s a picture of three women. 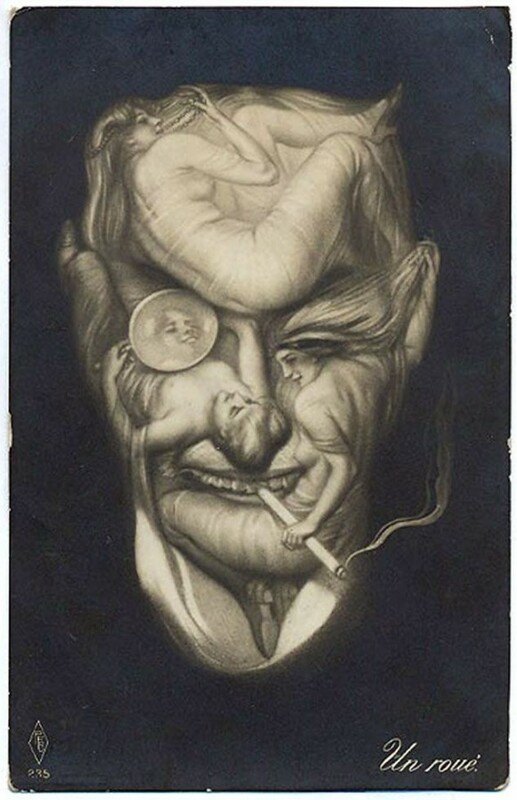 The way that their arms and legs are positioned, creates the features of the face in this devil illusion. The woman on the top forms the evil man’s forehead and the illusion of horns. The woman on the right creates his eye, ear, cheek, chin, and neck. The woman on the left is holding a mirror that actually doubles as a monacle. Plus her head and raised arm form the man’s nose. Like I said—this devil illusion is definitely creepy! So, what did you think of today’s devil illusion? Did it creep you out? Check out some more devil illusions!